Balochistan is the largest province of Pakistan, 45% of the countries land with the largest coastline of more than 700 Kms. The strategic location of the Balochistan’s Gawader port and its international borders with Afghanistan and Iran make it a Global Trade Corridor to China, Central Asia and even the gulf. Out of 50 minerals produced and exported from Pakistan 40 have reserves in Balochistan, with energy resources as Uranium, hydrocarbon and natural gas. But that is not unfortunate – Lucky you eh? There is more. Balochistan has one of worlds largest copper and gold reserves. The gold mines in Balochistan are compared to those in Sarcheshmeh, Iran and Escondida, Chile, which are the second and the third largest known deposits of copper in the world. The copper reserves are said to generate 900,000 to 2.2 million tons annually. Now let’s see with all that mineral wealth and strategic location how your life would be?? Well if you are born in Balochistan chances are you may live for lesser than 28 days as 72 in every thousand newborns die within that time period, most of them from preventable causes. Children in south-Sudan or Ethiopia would have better chances then you to survive. If you are lucky enough to survive first 28 days of your life is a high chance you may not live to see your 5th birthday, as out of every thousand children under 5 years, 89 die mostly from conditions such as diarrhea, pneumonia and other vaccine preventable conditions. In case you survive this possibility for you to see your mother is very slim. Because it is a high probability your mother will die giving birth to you or a few days after that.Maternal mortality of Balochistan is 785/100,000 live births , as compared to 272/100,000 live births in Pakistan. In fact if Balochistan was a country it would have been on the 8th country with highest maternal mortality ratio in the world (next to south-Sudan, Chad , Somalia, Central African Republic, Burundi and Guinea-Bissau) You think you are lucky you lived...Think again because there is a 50% chance that you will be chronically malnourished as every one in two child in Balochistan is stunted. Research suggests that stunting affects cognitive skills and mental development, school performances and economic productivity. Only 40% of the population in the province is covered by community based health workers and facilities are even less. So now you have had your primary education because you are not that unfortunate…you have to pray again and pray harder because 77% of children enrolled in primary school dropout and may not attend a middle/secondary school. But do remember only 30% of the schools are in a satisfactory condition probably you will be sitting on floor outside under a tree shed. Moreover, remember you have to be a boy to achieve this because if you are a girl your chances to be in a middle/secondary school drop by 50% Now since you are the lucky one – you might fulfill your secondary education and you can actually get a chance to get some higher education –in one of the ONLY three universities in the province. You know unemployment rate in Balochistan is 33.4 % which is not that bad you know why because that’s better than being in Afghanistan where this rate is 35%. So 70% chances are you may get some work But wait there is also a 70% chance that you will earn less than 2 dollars a day. And there is an equal (70%)chance that your household will not have access to food, or there will be no food available to your family. You can also be in one of those people in an estimated range of 4,000-14,000 people who just disappear. Don’t be shocked. You can actually be one of those who are subjected to enforced disappearances. This is not just any conflict this includes separatist movements, sectarian violence and state funded violence. 68.5% chances are that you live in a mud house with half or less percent of chances of having a radio, tv or any mode of transport. Government does not have a head of provincial disaster management authority, there is no cabinet (no ministers as they were never formed even 3 months after elections) , Chief Minister is in London for a dead poets birthday , there are only 3 doctors in the worst affected district and only one ambulance. Pakistani media and the nation is marveled by Earthquakes precious gift ..The NEW ISLAND!! More than 300,000 people..People like you are affected and over 500 HUMAN BEINGS as human as you lose their lives. Or you are searching for food among the rubble of your once standing mud-house starving for days without any food and water supplies You are waiting for help.. When there are more important things than you and your dead ..as a new island, a dead poets anniversary , a freedom fight and a rotten policy to counter conflict. So here you go.. The most unfortunate person in the world!! Just a few years back 14th august meant everything to me, it was the most important day of the year at School and at home. Flags, badges, new patriotic song albums that is all we waited for. I always wrote one of those patriotic speeches for the school assembly-excited and full of enthusiasm . Today this “Independence day” there are many mothers and sisters in Balochistan who are waiting for a loved one to return home a young boy who went to school and never returned, a father who was sitting with his friends at a local restaurant sipping tea and some armed man came and took him from there,or a brother who was vocal about rights of people in Balochistan and he went out of home never came back. Tortured dead bodies of these people are often found on roadsides, abandoned buildings and in pits. You can find a number of news reports, pictures, social media content online..and some how all of that does not exist for people of my country -the people of Pakistan. On our streets our professors were killed people like Saba Dashtiyar and Nazima Talib. On our streets Balochistan National Parties political leaders and workers were shot dead, and on the same streets you can see hundreds and thousands of security forces, beating up school children, performing body search of innocent youth and cursing the women. In the same city there is a Golf Course… where not for a day the grass looked pale, where not for a day flowers faded away… There are celebrations..there is happiness… as if it is two different countries .There is no corner of Quetta where blood has not been shed, there is rarely a house which hasn’t seen violence. Tyranny is not these people were taken by the state, or state sponsored militias. Tyrany’s is my so called brothers and countrymen are blind to it. Tyranny is when it comes to Balochistan the Human Rights are “Selective”.None of my fellow countrymen ask “who were these people” ? .“Why were they taken”? , “If they had done something wrong why haven’t they been presented in Pakistan Courts”, If some other force has taken them then why aren’t Pakistani security agencies looking for them. Instead my brothers and my countrymen say to me this is all a propaganda, you are a CIA agent, India is funding you, or even worse they will come with a history logic saying Balochistan does not belong to Baloch people and you are refugees here. That is my Countries answer to 1,000s of people missing and hundreds killed and dumped on streets, in the sewerages and in abandoned building. This is my country’s answer to all those mothers who are waiting, all those children who have lost their fathers and all those youngsters who have lost their friends. The famous political parties can shout about people dying from “Drones”, but would never says a word on “where are these missing people”. The Pakistani media who create havoc on some court case, or some politicians called some other politician an agent. But none of them would ask “Where are these people”? “Why are they being killed”. 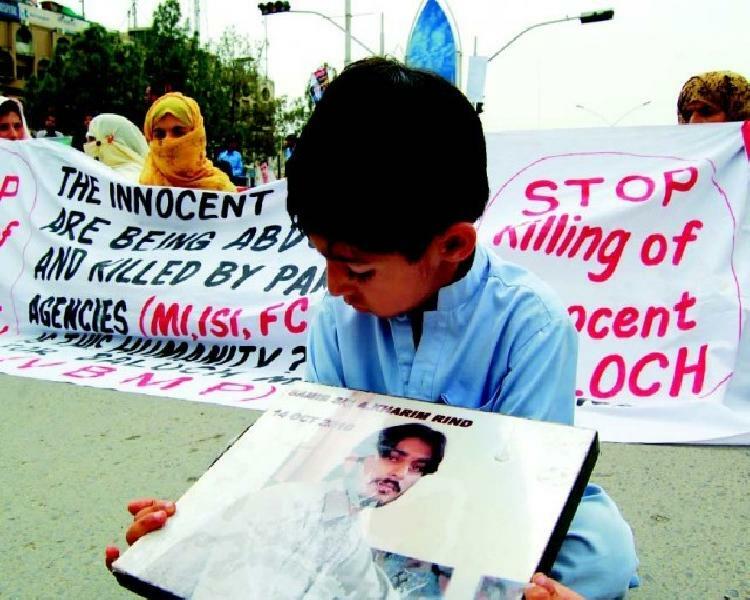 For me and people like me in Balochistan human rights are not selective , we are as grieved for our Hazara brothers as we are for Baloch, we equally condemn the attacks on unarmed people from Punjab as for the Baloch , we are equally shaken at the incidents in Karachi as for those in Quetta or Turbat. Hundreds of Haraz are killed and thousands fled the country and apart from a few tweets, some articles there is nothing.. But I don’t see that with my fellow countrymen- it’s as if everyone is blind to issues in Balochistan, it’s as if people in Pakistan don’t consider us humans or human enough. There are no more songs..No more lights ..No more flag. For only thing we are left is left with is mourning, sounds of gunshots and screams of the people who are being tortured right now somewhere… somewhere a Hazara mother is crying at a loss of his son… and somewhere in Pakistan people are celebrating the independence day. For the first time in history of Balochistan, a common man will be leading the province. The way elections were conducted under fear and terror I don’t know if I should be hopeful, but I will be. Respected Chief Minister I write to you requesting you as a Baloch and as a citizen of Pakistan belonging to the province of Balochistan to always remember a few daunting facts when you take decisions, sign documents and when you lead this war-torn province. Dr Malik our people are poor, unemployed and they face hunger. Our people still live in caves!! You must know that more than 50% population in our province lives below poverty line, and situation in worse in rural Balochistan where more than 70% of people live in poverty. Every 7 in 10 household in Balochistan are food insecure, meaning they have no access to food or there is no availability of food. Dr.Malik let’s take a look at health in Balochistan. Do you know that our future is at stake? 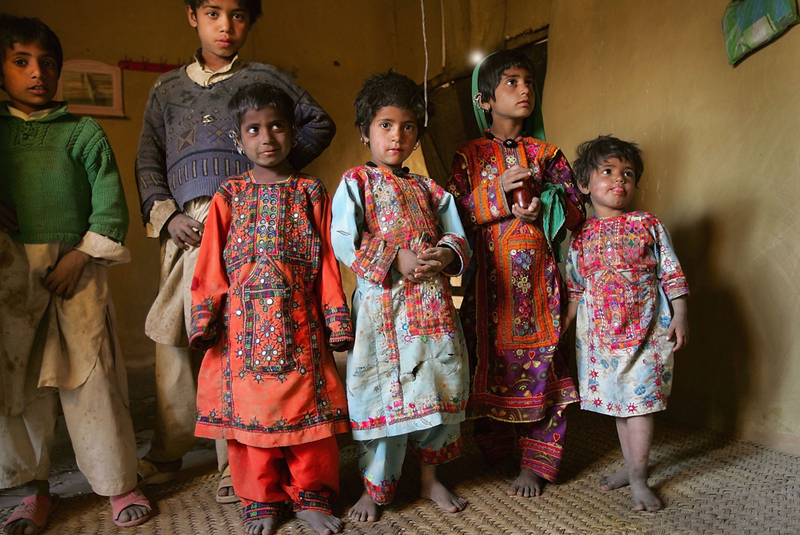 More than half of children under age of 5 in Balochistan are chronically malnourished, and the condition is irreversible. Malnutrition will affect a child’s health making the child more prone to disease, it will affect their cognitive skills resulting in loss of productivity and thus affecting their socio-economic adult lives.16% of the malnourished children are suffering from severely acute malnutrition – this is above the World Health Organization threshold of a emergency. wn as the Highest Risk areas for polio in world. ortality rates in the world. Every one of two women are anemic and micronutrient deficient. the numbers of trained professionals are limited and there is no accountability for any of this. Story of hospitals is even worse there are only a few hospitals in the province, severely mismanaged and overburdened leading to further deterioration of health overall. h strong linkages with ministers get to managerial positions in the sector damaging the system through mismanagement, lack of accountability and corruption. 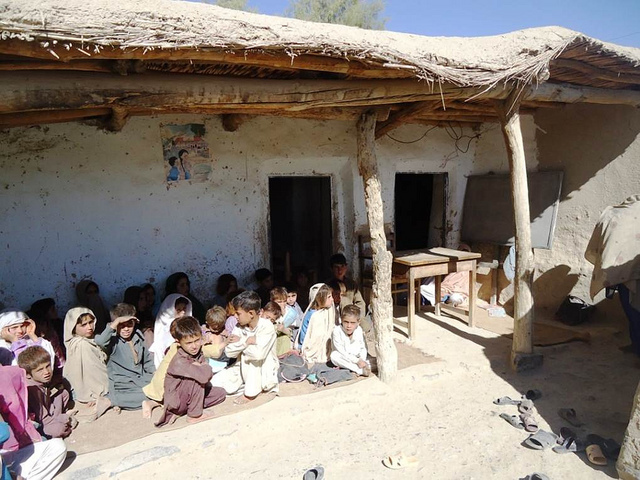 You were former Education Minister of the province, while your party boycotted the elections this is how education in Balochistan is now. Dr.Malik frequently when I hear people talking about people of Balochistan they refer to us as “Jahil” and that word kills me, because people don’t know our struggle for education. When some of us survive this struggle as Dr Mazaar Khan did and they get killed, or Zakir Majeed who get abducted it only throws us hundreds of years back. But Dr Malik how can I tell people we are not “Jahil” when more than one million children of primary school going age are out of schools. 77% of the primary school age group do not attend elementary schools .The National Education Survey suggests that three fourth of our population is illiterate, where female literacy in rural Baluchistan is lower than 10%. .
How can it get better when only 30% of our schools are in a satisfactory condition and services are not existent ? 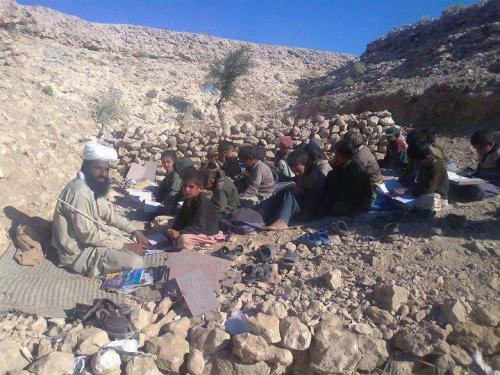 Various data sources suggest that there are thousands of ghost schools and teachers in Balochistan . allowed to work. When some of these girls get killed on roads as they did this week it only stops other girls to put that effort and fight that fight. poverty in Pakistan’s richest province. Our challenges regarding health and education are long term and they need long term planning. Security is the major hurdle in any of our progress I agree… But political recruitments, no regards to merit, lack of accountability, and corruption are killing more people. When you chose your team and when you sit on the seat remember that many of us don’t have food to eat, many of us die due to lack of facilities and many of us may never read a book because our own people failed us. So no matter what you do .. If you are a working women people will always think you are an “available women”. So i have to make unusual efforts.. work harder spend more time on work then my male colleagues, keep composed, focused and be professional . Every step I take is like balancing yourself on a rope… because i am a women. The literacy in Balochistan (part of the world where i live) is lower than 30% – so i am one of those very lucky and very rare females who get to complete their education. I deserve to be encouraged and treated with respect for that. But No.. because I am a women…and i am out for work… I must be available for all men, look pretty and just make the “meetings” pleasant. That is me.. a mid-level manager..in a good organization. What about that school teacher?or that Nurse…or the girl who is a health worker? the domestic worker?? the farm labours or the ones who work at a bricklin what about them… what about all those women who have to come out of their homes,earn for their children ,for the medicines …for food..
they must go through worse ..being treated as objects- hopeless Yet brave fighting a battle everyday…yet never giving up. If only men realized… That they are more honourable when they share the burden, when they care for their families, when they dream. They deserve to be encouraged , protected and treated with respect. You SHOULD be actually dishonoured when your son goes and harass women who are walking on the street , at your workplace or working at home. I cannot sleep..Whenever i close my eyes i have this picture in front of my eyes,a photograph of a student named Aqeel a student of Balochistan University of Information Technology who was killed during a terrorist attack on the university bus. It reminds me of our university bus..must have been an ordinary day for Aqeel..getting ready for the university,excitement of carrying out certain task in the class he liked..praying that the professor is on leave for the class he hated.Maybe uploading some music on his phone to listen on his way to the university..A normal day !! But it wasnt a normal day it was his last ride..his last day in this cruel world.On his way to University a remote-controlled bomb was planted in a jeep parked along a roadside the bomb was detonated when a bus drove near to it.It killed Aqeel and 10 of his university colleagues , a few passers buy.60 students were injured … and for what?? A bearded man who thought that “His religion” is better than the “religion” Aqeel was following. The same day Aqeel’s picture was posted on facebook..A young boy with innocent eyes and a victim of terrorism. thinking about it..every day someone like Aqeel dies on the roads of Quetta city..every other day someone in this small city of 1,140,000 is a victim of terrorism. Most of them being Hazara ,Shia’s and Baloch. 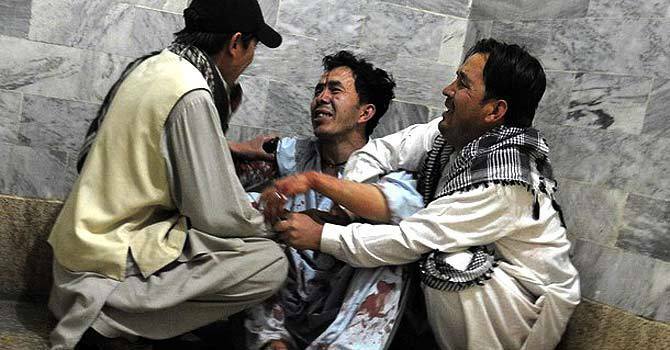 Hazara’s are being systematically killed in the city.Around 700 Hazaras have been killed in Quetta ..thousands of them have been permanently disabled by the terrorist attacks as Bomb Blasts, Target killing attempts , Rockets etc. 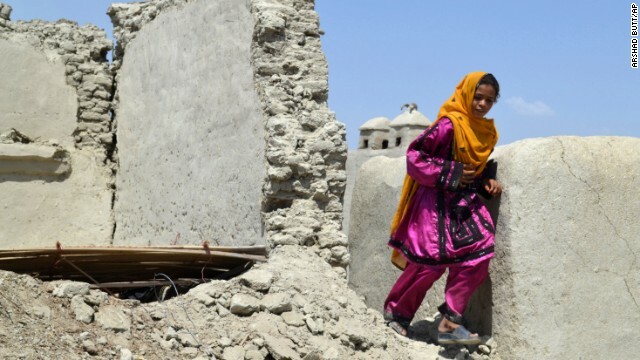 Hundreds of Hazaras have fled to other parts of the world legally or illegal. Tyranny is Not one terrorist has been brought to justice.Not one court case-not one trail. Not one single person!! 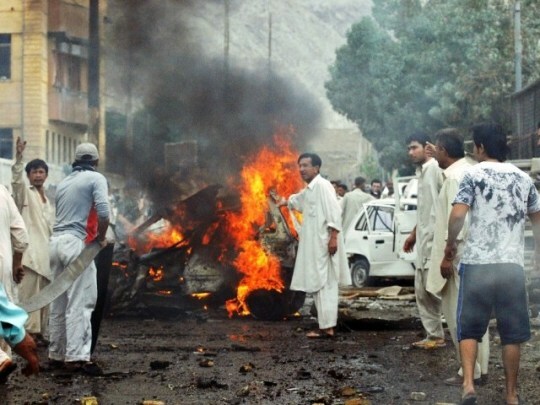 Over half a million Hazaras are terrorized on a daily basis for last 10 years. Question is why Hazara ??? Hazara people have been a victim of terrorism not only in Pakistan,the crimes against Hazara nations have been reported in Afghanistan and Iran and history of Hazara prosecution is dates as back as 19th century. Taliban killed hundreds of Hazara in YakaolangBamiyan, and Mazar-e-Sharif with from 1998 to 2001. 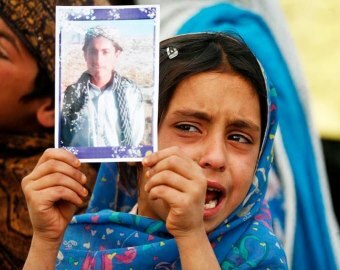 For incident in Iran during a single incident in 1998, Iranian forces killed more than 630 refugees, mostly Hazaras, in the Safed Sang Camp detention center. The discrimination against Hazara is so high that they are not even allowed to enter Parks in Iran. Hazara genocide in Pakistan has a broader picture: The Ongoing shia genocide in Pakistan where groups as Laskhar-e-Jhangvi and Sipa-e-Sahaba actively target Shia’s all over the country Hazara being the most vulnerable for having the Mongolian appearance and living in a small closed community on a strategic location as Quetta. 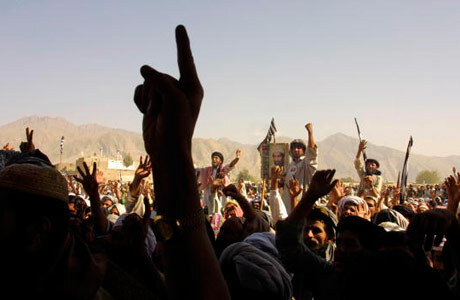 These organizations are not only carrying out terrorist attacks but also implanting seeds of hatred in minds of young people towards Shai’s and Hazara .There are extensive hate campaigns carried out in form of speeches,hate literature ..and even marketing techniques as wall chalking , posters and billboards. Tragedy is following the IT University incident in Quetta , other universities in Balochistan have asked Hazara students to travel in separate buses . As qouted by Saleem Javed in one of his articles According to Asmat Yari, the president of Hazara Students Federation (HSF), “Almost 75% of Hazara students have quit the university and those who remain cannot attend classes because of fear.” School attendance has also decreased by 10 percent this year, and college attendance by 25 percent. Parents do not let their children take exams in centers outside of the areas deemed safe for the Hazaras. 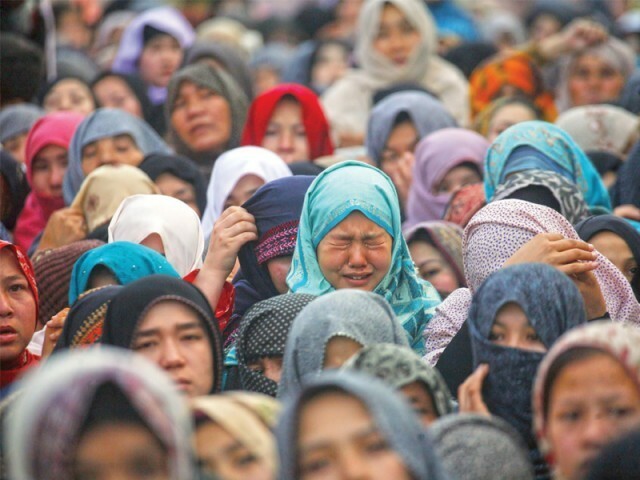 Hundreds and thousands of Hazara youth have fled the country, living in detention centers in Indonesia and Australia- the hardships and tragedies faced by asylum seekers is another tale of misery and inhumanity. Aqeel has left us..but there are many like him,living their life in fear..living life in despair. I did not use any extreme graphics, pictures of blood and people dying..There is just this one picture of Aqeel who left us because hundreds of Armed security forces in the city did not protect him, because people are too blind in hatred..and because he belonged to a minority group. My earliest memory of 9/11 is..in October 2001 , i remember in the night BBC ran a new s that USA has planned an attack on Afghanistan , and next day there were protests..for one of the very first times in my city we saw mass protests , i remember the smoke!! and that’s what i have been seeing since than. My vocabulary improved though now i know what a B52 is..so does that old lady in my village, we know who president Bush was…both me and the old lady in my village.I know there is something called a Daisey cutter Bomb. Post 9/11 Quetta isnt much pretty there are Bombs, Rockets…Target Killings…Post 9/11 Quetta is my home..between extremists and hatred.Post 9/11 Quetta is just terror and fear. Post 9/11 Quetta tells me its okay to kill someone if he dosent pray the way you do…It tells me that if you are weak its easy for the state to bomb you and make your youth disappear.It tells me if you open your mouth and demand justice your bullet riddled dead body will be thrown in a ditch. Post 9/11 Quetta says, the strongest man of the strongest province will be killed by a religious fanatic on a road by his own gun man and people will throw petals at him.It says the only road to paradise ,to heaven, to glory is Bombs and guns …killing the non believers..it says you can find the worlds most wanted man in one of the most unexpected places…!!! I have seen bodies of beloved ones soaked in blood not knowing who killed them..i have seen fear, and i have seen hatred. Life has changed …its not just the twin towers gone it’s..
All this leaves me to a Chuck Pahlunik novel...saying leave this island before you cant.. I logged on to my Facebook account after a Post Sehri sleep…as I have nothing to do except for facebook.I found out it was the friendship day. Well, I thought I had heard of this day somewhere back in school or college where we used to give each other cards, or when we got hold of internet used to log on to 123 greetings and send a e-card. Then I just thought of hey now I have facebook why not to send a friendship day message to my friends and then I started to browse through a long list of my friends. Friends ?? I thought again … This is just a guy from work, that girl I hardly know is from college…that is my aunties daughter so had to add her , this guy well I don’t really remember who exactly he is IRC? Yahoo chat? Cannot remember … Finally some friends. That guy well he had a crush on me so.. That technically is not a friend.This is a friend we lived in Hostel together. Well we haven’t talked in years I thought does it still make her my friend.. Naaa..
OH MY GOD It suddenly strike me I have no friends, I started feeling pangs in my stomach but that is not possible I am this super friendly and nice person how can I not have friends I thought… Lemme go back and check..
Ahh well.. . As a girl in the part of the world its always hard to keep friends,some get married..some want to get married so basically after college u have to start from scratch. Is it a matter of priority in life no I don’t think so .Its a matter of need, the person who you need the most for that time in that place, can be someone who can help you do ur assignments ,can be someone who can let you have a good time at work, can be someone who will listen to all your crap in hostel.. and then when that time and place is done you are done with that person. Life is grey without friends.